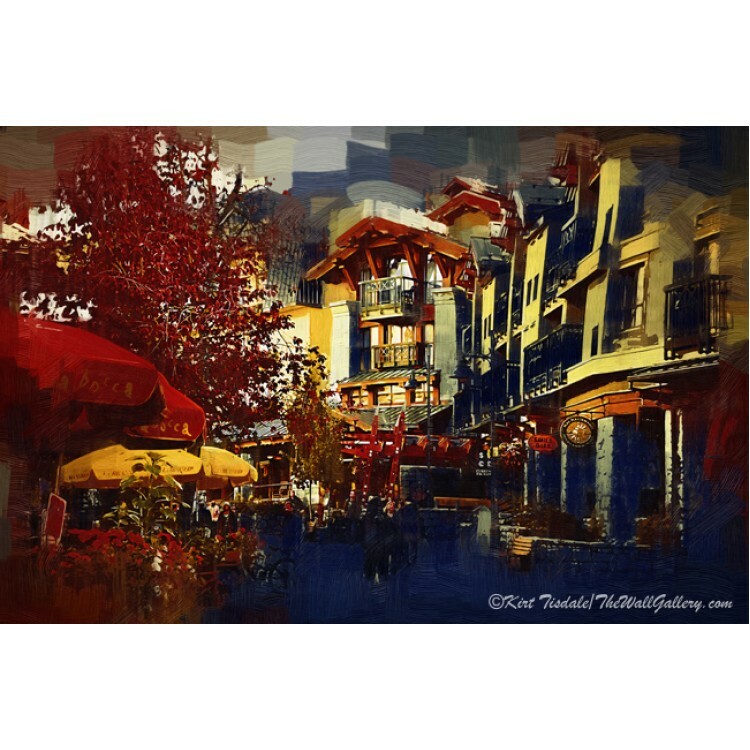 The setting is Whistler, British Columbia, a popular ski destination in the winter. 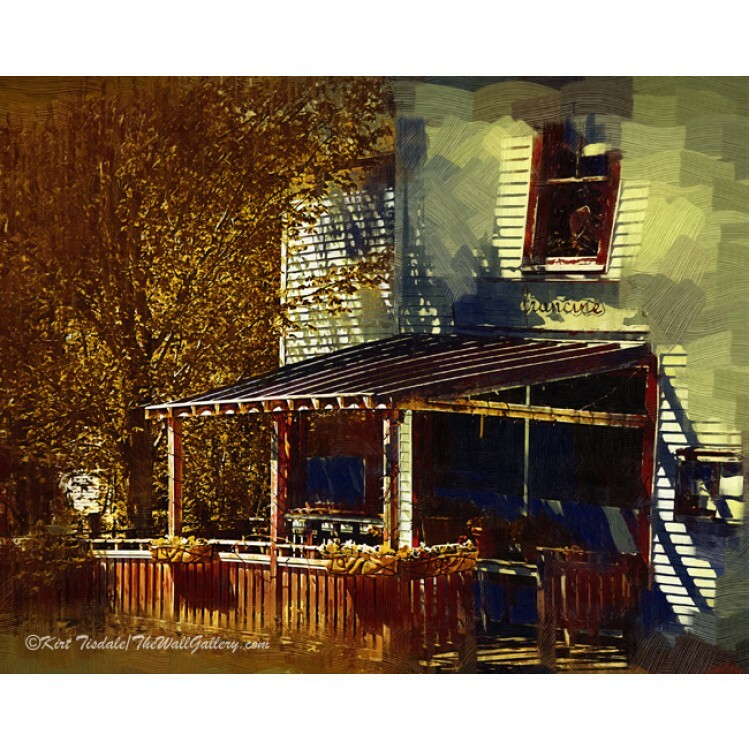 The time of year in this print is fall, when all of the leaves of the trees are at their peak color. Whistler is a pedestrian friendly skiing village. The architecture is reminiscent of a Swiss village. It is nestled in a beautiful valley surrounded by mountains housing the ski slopes. I would also like to point out that on the printed version of this art print, " © Kirt Tisdale / TheWallGallery" watermark will not appear. 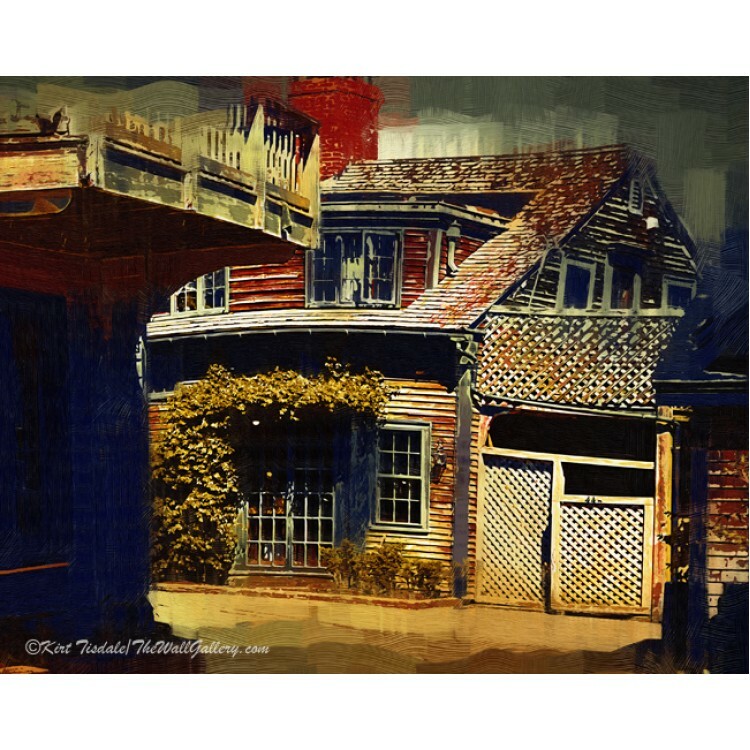 The print is done individually using a giclee technique (Giclee: a technology for fine art or photograph reproduction using a high-quality inkjet printer to make individual copies). The printer is an Epson Stylus wide-format with Epson UltraChrome K3 Ink. 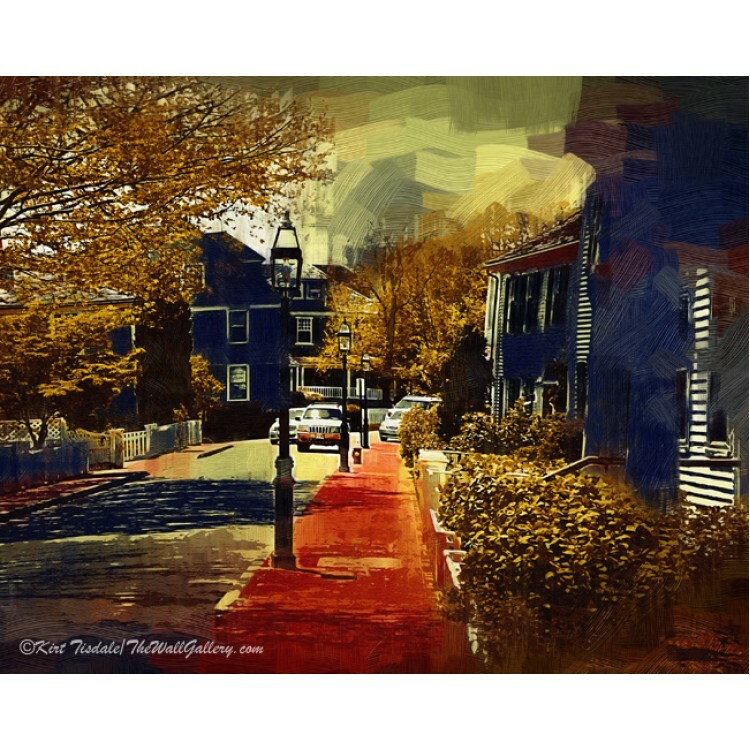 This Street Scene / People wall art will be printed on Epson Premium Semi-matte Photo Paper. The paper is 10 ml in thickness, with 96% opacity and a 94 ISO brightness rating. The print is then hand cut and depending on size packaged in either a firm oversized mailing envelope or a mailing tube for protection. 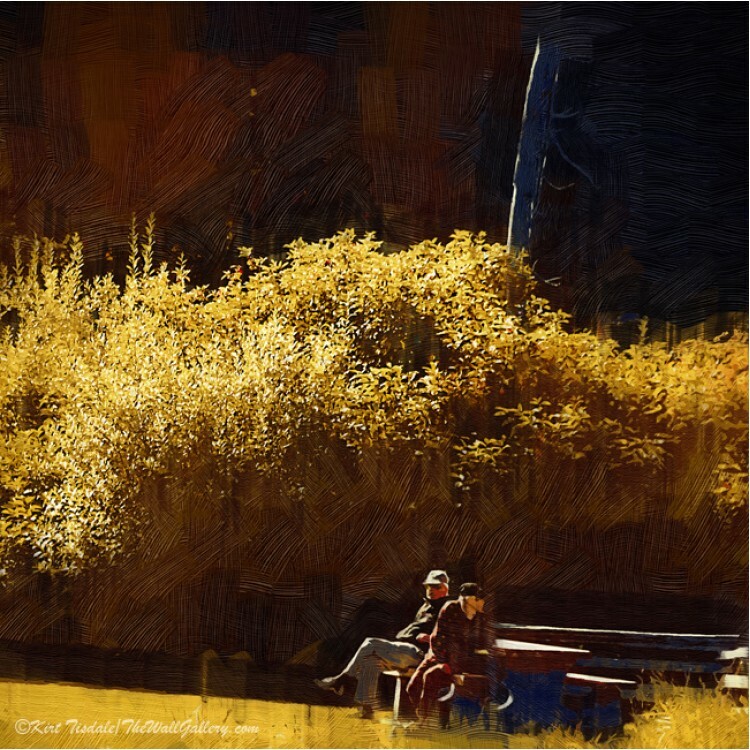 "Elderly Couple" is a wall art print done in a gothic oil techniqu.. 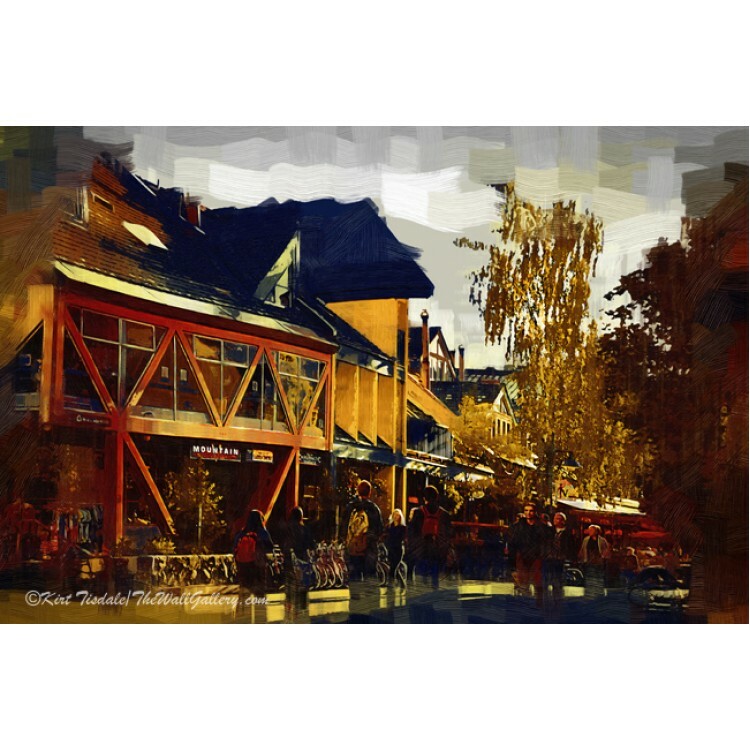 The Village of Whistler in a gothic oil technique of ..
Quaint Cafe is a wall art print done in a gothic oil technique of an outdoor café located alo..